Barbara Lubash, of Newport Beach, is the managing director at Versant Ventures and a member of Partners HealthCare Innovation Advisory Board. She is the former chair of the CHCF board of directors, and served on the board from 2009 until 2018. She specializes in health care services and information technology at Versant. 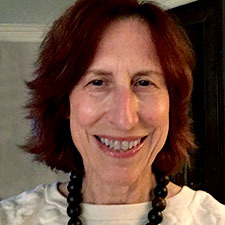 In her career as an operating executive and venture capital investor, Lubash has led and advised provider, payer, and health care IT organizations throughout the United States. Prior to co-founding Versant Ventures, she was a partner at CrossPoint Venture Partners. Lubash was formerly a division president at PacifiCare Health Systems and a senior vice president at Private Healthcare Systems, a national PPO. Her operating career also includes management roles at the hospital information systems division of Hewlett Packard and the Harvard Community Health Plan, where she managed one of the first US electronic medical records installations. Lubash holds a bachelor’s of science from Tufts University and a master’s in health policy and management from Harvard University.